Exactly two years ago, I attended Shop Talk, a full day of workshops led by and made for artists and makers to help build their businesses, share experiences, and connect with their creative community. 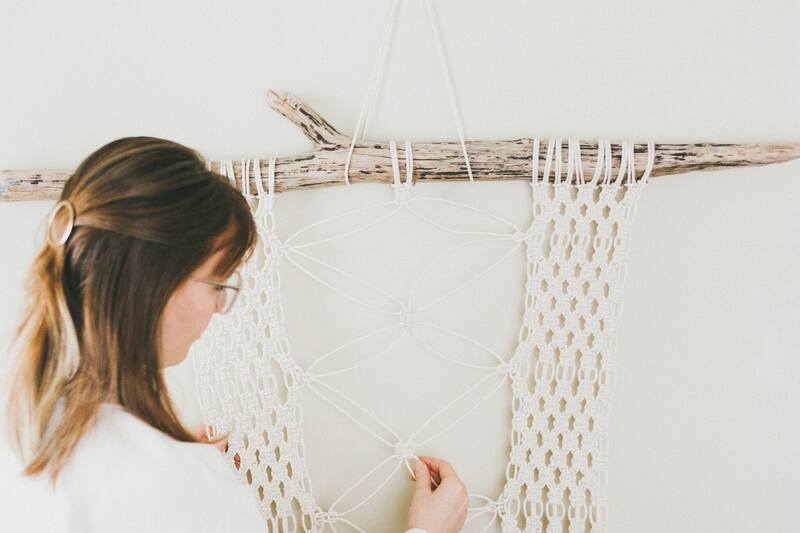 Amongst the speakers was Emily Katz of Modern Macrame. The theme of her talk was "No such thing as failure" and she talked us through the ups and downs of creative life and how to love what you do. 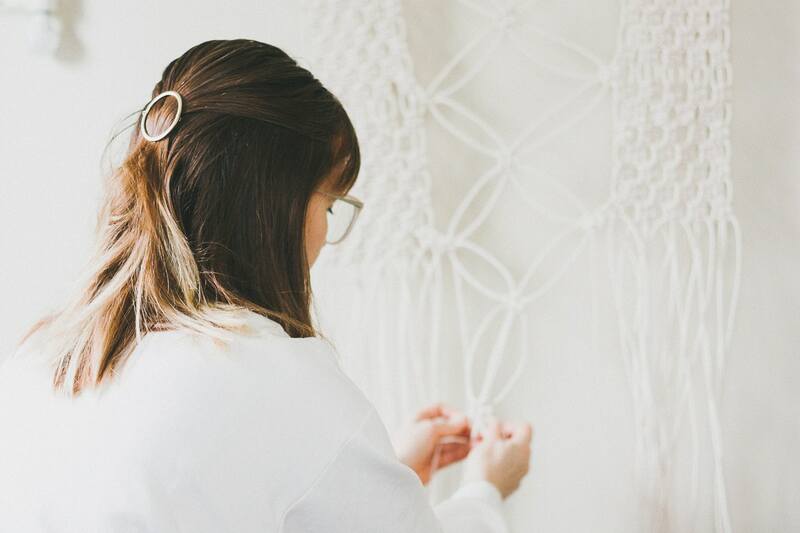 She shared her experiences as a self made fashion designer turned macrame maven and Instagram phenomenon. 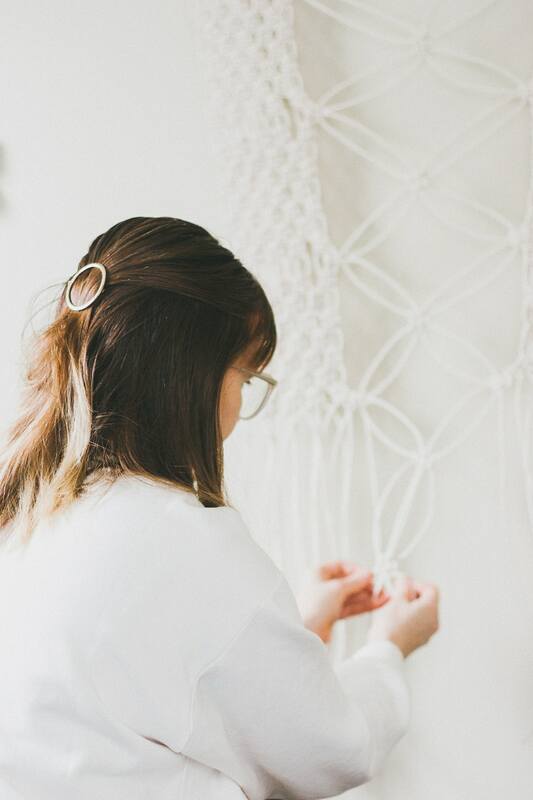 Besides being inspired by her moving story, I found myself entangled in the macrame madness, which I never thought I would as I am not the craftiest person and as macrame reminded me of the old and dusty 70s pieces that populate my aunt's beach house. Still, as soon as I left the conference, I googled Emily's work and ended up signing up on an art and craft platform to be able to watch her tutorials right away. 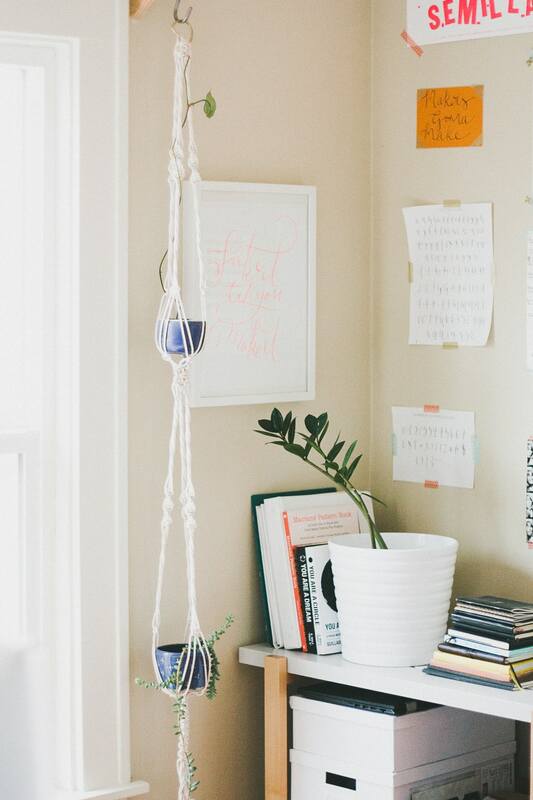 I ordered some rope online and started with a simple plant hanger. Then I continued with a couple wall hangings to finish this rope roll I didn't love (I kinda ordered the wrong kind because a. I couldn't tell the difference between cord and rope and b. I still have trouble with imperial units). I'm lucky enough to have someone at home who loves to spend time by rivers and doesn't mind me asking him to bring me driftwood back from his fishing trips! 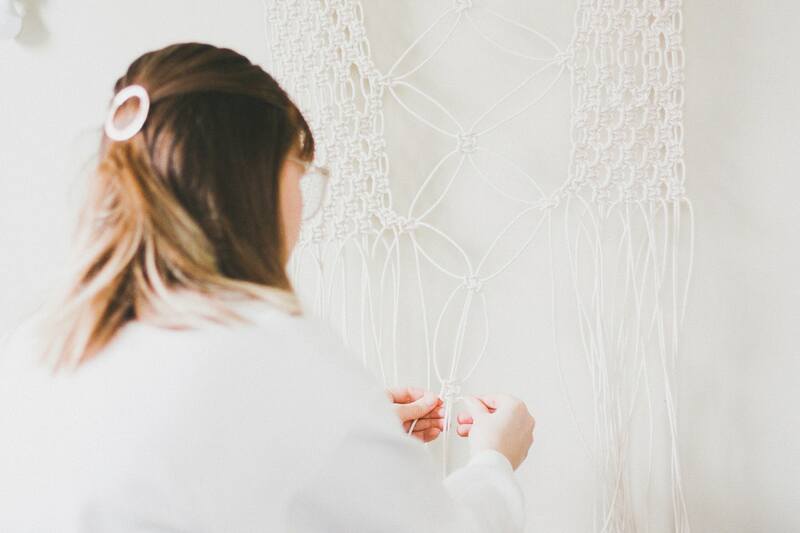 After that, I contacted Emily to get some rope from her studio (a perfect excuse to meet her again) as I contemplated working on a much thicker piece. It's been more than a year now and I still haven't finished it (I realized that I cut the strands too long and need more rope to have enough strands). 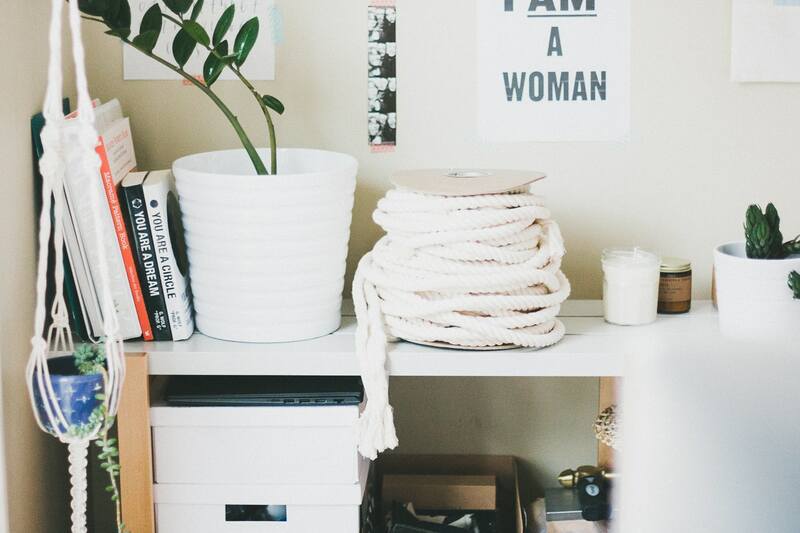 For a long time it just sat on a clothes rack behind my desk and I eventually rearranged the rope on its spool. But lately, I've been inspired to work on it again and even add a little twist to the piece by naturally dyeing certain strands. Emily just released a book and regularly teaches workshops all around the world, check out her workshop schedule. Sign up for a class now, you won't be sorry! For inspiration check out my Fiber Art Board on Pinterest. Also, I highly recommend this other book to learn more about knots and patterns.